Uh-oh, here comes trouble. Just when pressure is mounting on Congress to permit exports of US crude oil, the Kingdom of Saudi Arabia is making a big move into solar power. The idea behind Saudi Arabia solar is to wean the country’s electrical grid off its heavy reliance on diesel generators, particularly imported diesel. The shrinking of Saudi diesel demand is a big tell that the global shift to renewable energy is kicking into high gear. The news is particularly interesting because Saudi Arabia and other countries in the region have also been making big investments in petroleum refineries, aiming at the same target: reducing imported diesel as well as gasoline. We’re calling solar power the diesel-killer because that’s what multiple Nobel Prize nominee, sustainability innovator, “impact investor,” and former candidate for President of Israel Yosef Abramowitz calls it. We had a chance to visit with Abramowitz in Israel last year to learn about the solar company he co-founded, Arava Power Company. Part of the company’s plan is to reduce or eliminate the use of diesel generators in the tourist city of Haifa and throughout the region, with a network of kibbutz-based solar farms. The other part involves developing an exportable business model for Israeli solar technology, with the aim of knocking off diesel in promising markets like South Africa. Well, it looks like Arava Power is going to have some competition. 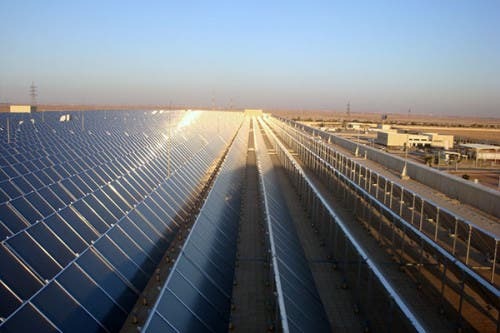 While the big push for Saudi Arabia solar has a domestic focus, a surge in diesel-killing solar demand in that nation will help solar companies develop economies of scale and boost their position in the global solar market. The country faces a multiplicity of problems stemming from its reliance on diesel generators for air conditioning among other uses. According to SASIA, almost 25 percent of the Saudi grid is powered by diesel and the Kingdom spends $1 billion and up on imported diesel. Many of those generators are located in remote areas, so transporting diesel generator fuel also adds to the country’s fossil load. On top of that, the country’s grid operators are way behind when it comes to connecting remote areas (distributed solar, much? ), which is gumming up local economies. To ice the solar Schadenfreude cake, diesel generators tend to hiccup just when you need them the most, namely, when the temperature heats up. SASIA has its second Desert Solar Saudi Arabia conference in the works later this month, so you’re going to hear a lot more about the country’s solar potential. Saudi Arabia could easily be one of the largest solar markets in the world. The economics are clear, a pilot program has been completed, and deep policy research has been done. 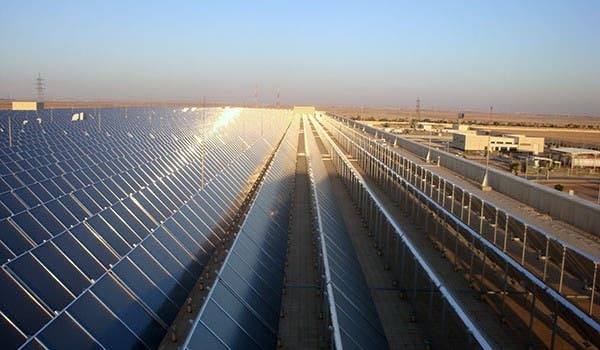 Saudi Arabia has all the factors needed to achieve a low levelized cost of electricity compared to other mature solar markets — factors such as access to low-cost finance, land availability, solar irradiance resource, well-developed construction companies, EPCs and O&M providers. A boom in Saudi Arabia solar will also have a ripple effect on the country’s ability to boost its water resources with solar powered desalination. It might seem like something of an oxymoron for an oil-rich country to depend on imported petroleum products, but there you have it. As recently as last summer, Saudi Arabia diesel imports hit record highs. That’s all set to change but quick, and not just on account of solar. While kicking the diesel habit domestically, Saudi Arabia is also looking to stir up the global diesel market. The country’s massive new Jubail Refinery is expected to provide for domestic diesel demand while also supplying Europe. India currently supplies both the Saudi Arabian and European markets, so all of that Indian diesel is going to have to find a home somewhere else. Adding another twist to the saga, energyasia.com reports that demand for diesel in Europe is collapsing. That can’t be good news for US oil companies seeking gold in the export market, so hold on to your hats.